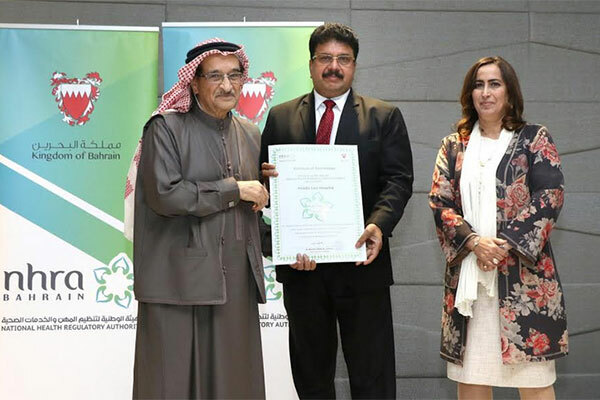 Middle East Medical Hospital, the largest private hospital in Bahrain, has received the platinum accreditation by the National Health Regulatory Authority (NHRA). The NHRA Accreditation Certificate was received by Dr Varghese Kurian, chairman of Middle East Hospital from Supreme Health Council president D. Shaikh Mohammed bin Abdulla Al Khalifa during the ceremony was held at the Grove Hotel Amwaj Island. Under the National Accreditation System, all private hospitals are ranked in four categories – diamond, platinum, gold and silver.